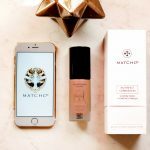 We tend to look for the best in makeup and skincare. Have you ever wondered what’s in your hair care products? Have you thought of using better ingredients to give your hair the love it deserves? Using oils for hair is not a new thing for me. In Bangladesh, where I was born and raised, oiling hair every weekend was a must. It’s a common practice and that’s why our hair tends to grow thicker and longer. As a blogger, I feel blessed to always experiment and try the latest and greatest in products. 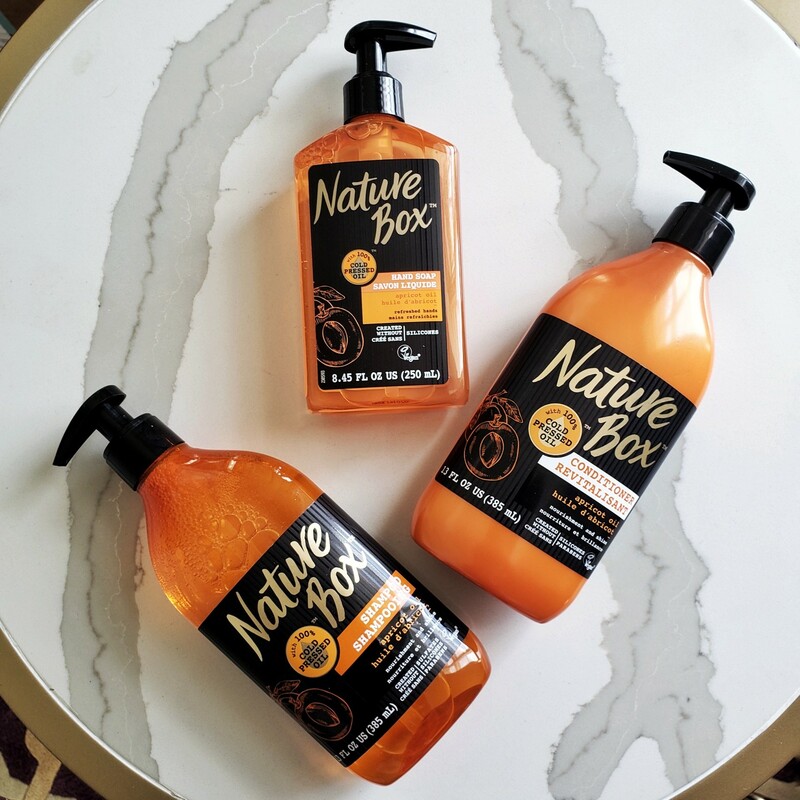 Which is why I’m so excited to introduce you to Nature Box™ from Amazon. 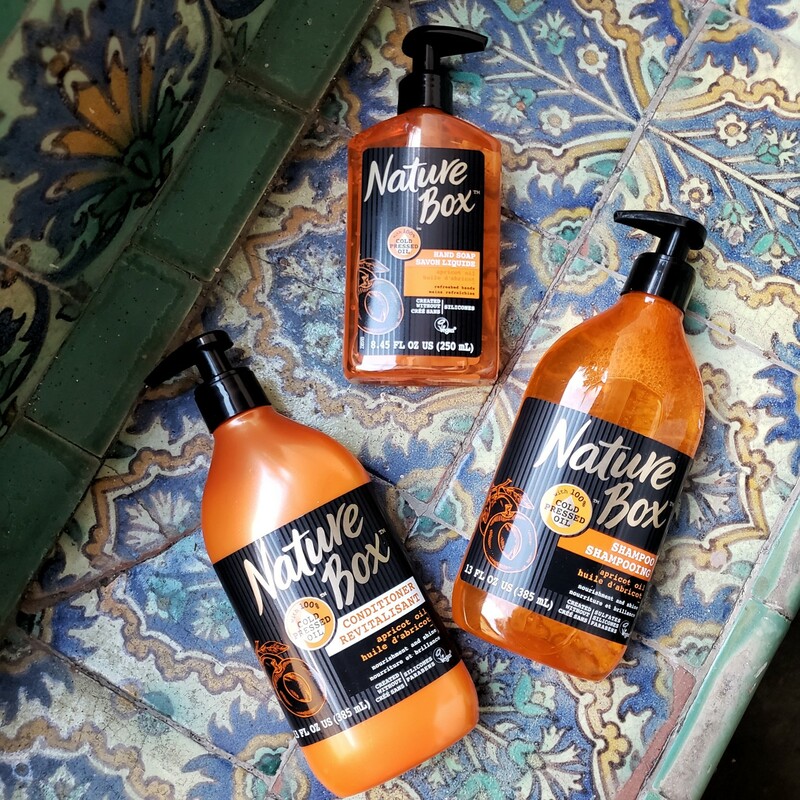 I also want to tell you a little bit about why I’m using Nature Box™ 100% Cold Pressed Apricot Oil products. 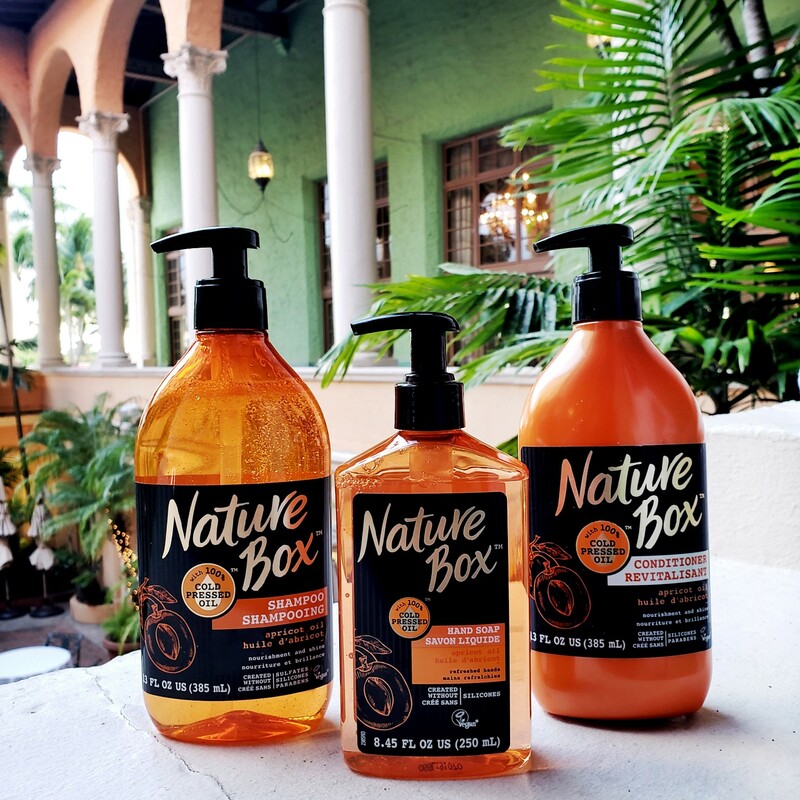 Nature Box™ is a nature-inspired, environmentally-friendly brand with a mission that’s all about spreading positive vibes around the world. 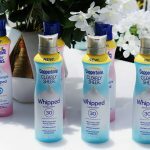 Each product includes the highest quality of ingredients, and it’s vegan certified and solidaridad certified. Solidaridad is an international development organization that supports small farmers in the sustainable cultivation of palm oil in several regions around the world. 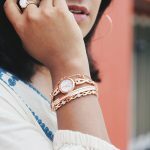 A brand that cares enough to not only create incredible products but also share a positive attitude towards every aspect of their work is a brand I support! Currently, they carry 5 different collections featuring cold pressed oils: Apricot Oil, Almond Oil, Avocado Oil, Coconut Oil, and Macadamia Oil. Why I chose 100% Cold Pressed Apricot Oil to try. I have never used Apricot Oil before. 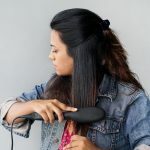 After doing my research, I was mesmerized by the benefits of this amazing oil and immediately knew this is what my hair needed. The 100% Cold Pressed Apricot Oil helps to restore hair shine and give hair a soft, touchable feel. I love how my hair looks and feels after it’s dried. It’s much easier to manage and I can just brush my hair and go! 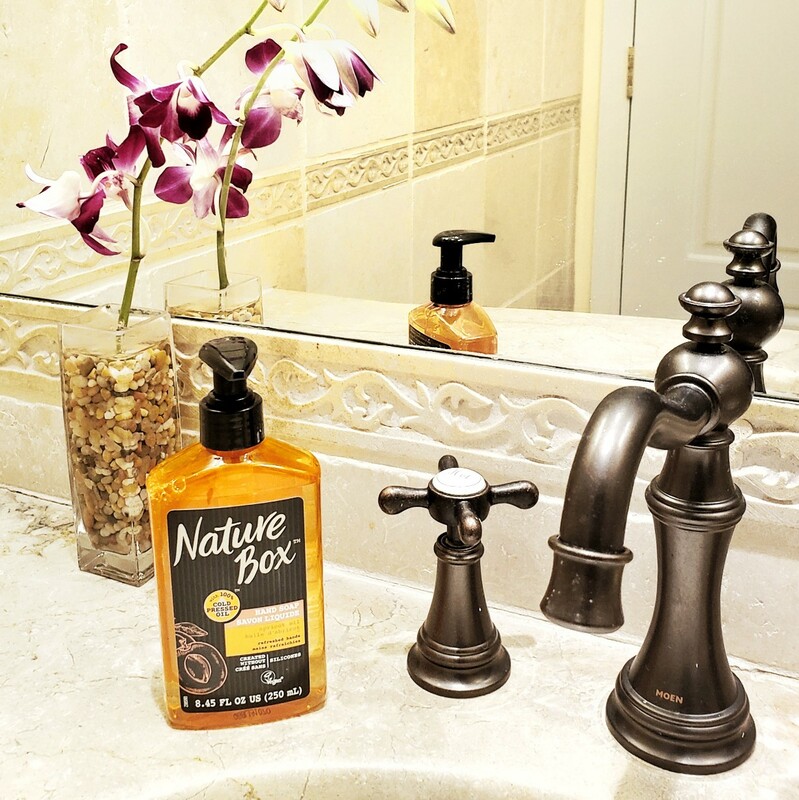 I’m also using the Nature Box™ 100% Cold Pressed Apricot Oil hand soap in the bathroom. It immediately became everyone’s favorite at the house! The hand soap softens the skin and provides moisture after wash. 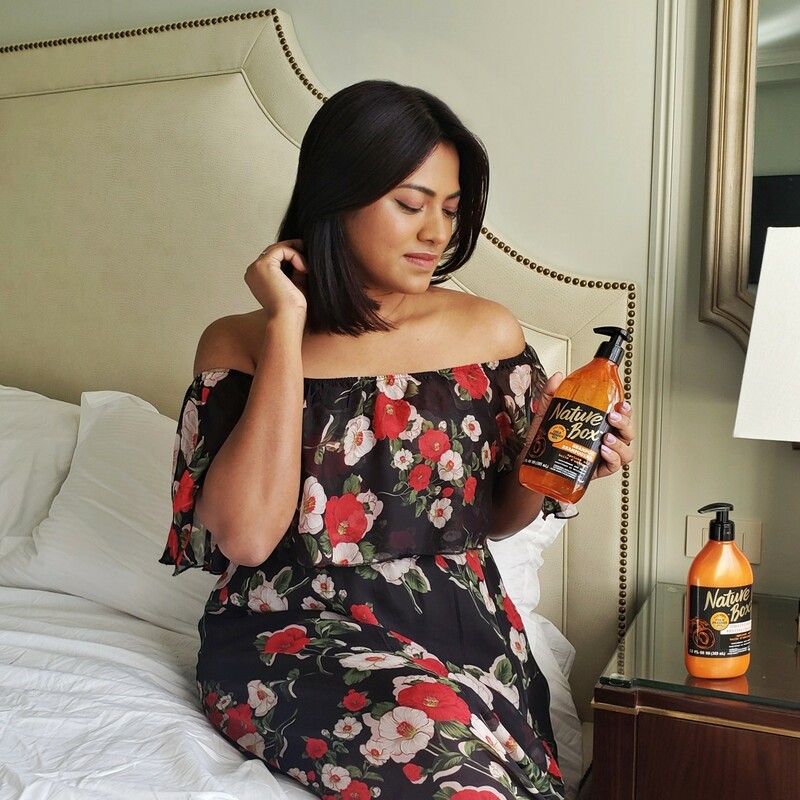 The 100% Cold Pressed Apricot Oil collection carries more products for your hair and skin care – check it out here! 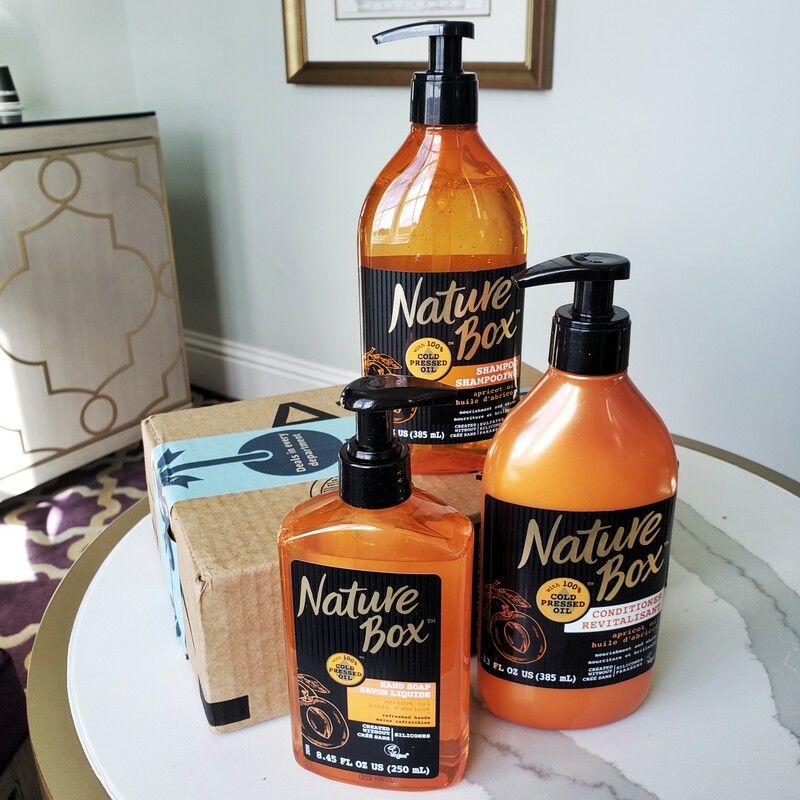 Nature Box™ products are available for purchase on Amazon.com and if you have Amazon Prime, it ships in 2 days!